Kids need baths. Lots of them. 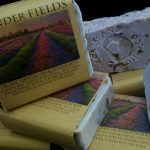 With each kids’ hair and bath product that you buy for their cleaning routines (and there will likely be tons of them in your child’s lifetime), you have the opportunity to support companies that are making good ingredient decisions and are going cruelty-free. We’ve put together a list of some of the top cruelty-free kids’ hair and bath products, so that you can opt for kind versions of shampoos, sunscreens, lotions, and even skin wipes. Check out our guide to the best cruelty-free kids’ hair and bath products, and enjoy taking care of your little ones with love for all. Organic Sprout sells a line of baby and kids bath products that contains soothing organic botanicals. The company’s Hair & Baby Bodywash, Scrumptious Baby Cream, Curl Calmer, Natural Hair Gel, and Natural Styling Balm are extra gentle and perfect for babies’ sensitive skin and hair. Organic Sprout products nourish and protect, they’re made without any harsh chemicals, and they’re totally vegan. When you want the best for your baby’s delicate skin, choose an Avalon Organics product. Avalon Organics knows that little kids’ bodies are delicate and precious. 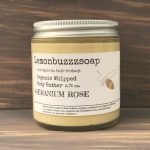 This company formulates natural products that are free from harsh ingredients and questionable chemicals. Avalon Organics uses soothing natural botanicals, nutrient-rich plant emollients, and other good-for-baby essences that offer happiness for humans and animals. We like Avalon Organics’ baby shampoo & body wash, nourishing baby lotion, and protective diaper balm. Kiss My Face baby and kids’ products are made with nourishing, healing, and soothing natural ingredients. The hair care products, soaps, sun care lotions, and toothpastes from Kiss My Face are free of parabens, artificial colors and fragrances, and phthalates. For kids’ and babies’ hair, try the Orange U Smart 2 in 1 Shampoo & Conditioner. For the bath, consider the Orange U Smart Bubble Wash.
Clean Kids Naturally is a fun and great-smelling natural product line from Gabriel Cosmetics. It features gentle no-tears shampoos made especially for children. Clean Kids Naturally embraces the cleaning power of orange and lime juices. It combines this power-cleansing duo with plant essences like birch leaf to stimulate and smooth small scalps. 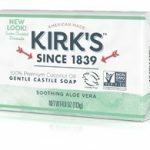 Along with the Clean Kids Naturally Shampoo, this cruelty-free line features a Detangler and Foaming Bath soap. JASON Kids Only! products are gentle, safe, and effective. 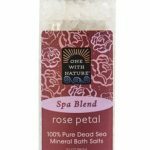 They contain mild surfactants and delicious-smelling plant oils to make bath time worry free and fun. 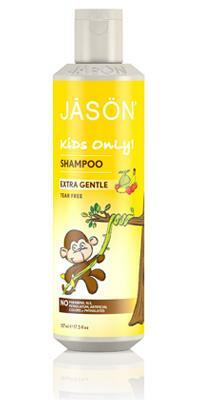 Some of the cruelty-free kids and baby bath products that we love from JASON Kids Only! 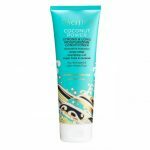 Include the Extra Gentle Shampoo, Daily Clean Conditioner, and Daily Detangling Shampoo. Cleaning your babies with these cruelty-free shampoos and washes is a great way to tend to your baby gently. And, it offers an opportunity to start teaching kids that the products we choose for ourselves can affect animals in negative or positive ways. Clean your kids naturally and without harming animals with these top cruelty-free kids hair and bath products.